A six-step guide to honest and compassionate conversations. If we stopped burning fossil fuels today, the climate will continue to warm and sea level will continue to rise for decades. And if we don’t stop burning fossil fuels soon, the consequences will be far worse and widespread. 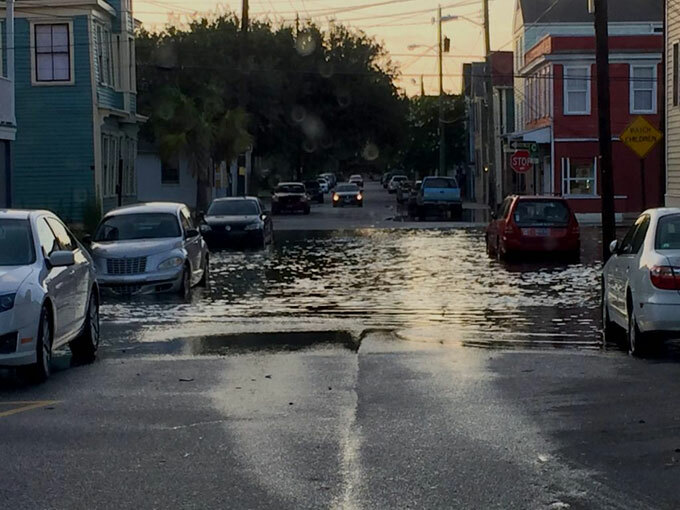 For example, Charleston, South Carolina, a city at sea level, is planning infrastructure for a 2.5-foot sea-level rise. If glacial ice starts to melt as quickly as some models suggest, the sea-level rise could be six to seven feet by the end of the century. Charleston would have to be relocated. Even with immediate action, a lot of the damage is already done. How do we convey the long view to people who don’t want to hear it in a way that generates action rather than despair? The challenge here is that because you have learned about climate change, you are now in the position to break the bad news to others. It’s not easy to inform people that a beloved city may cease to exist in its present form. It’s also difficult to respond effectively to the feelings of grief, anger, and denial that such a message provokes. Your question prompted me to think about another group of people who must sometimes deliver bad news: doctors. Over the years, doctors have developed step-by-step protocols for informing patients of life-threatening or terminal illnesses. One such protocol, known as SPIKES, is designed to help them build the trust of their patients, ensure that patients have an accurate understanding of their diagnoses, and work with them to choose a treatment plan. A person with a life-threatening illness isn’t a perfect analogue for a city endangered by sea-level rise. But each of the protocol’s six steps offers useful guidance on how to deliver bad news with compassion and humanity. Let’s walk through them. Imagine you’re a doctor with a patient complaining of back pain. She believes she’s strained a muscle. But after conducting tests, you now know that her back is hurting because she has breast cancer. How do you tell her that news? According to SPIKES, the first step is to prepare for the conversation. Consider what you will say and how you will respond to an emotional reaction or difficult questions. “You have to sort of think about the person who is going to be in front of you. If you know them already, you may have some idea of how they’re going to react,” Dr. Walter Baile told me recently. Baile, director of the Program for Interpersonal Communication and Relationship Enhancement at the University of Texas M.D. Anderson Cancer Center in Houston, helped develop the SPIKES protocol. The application to talking about climate change: Find out what you can about the people you’ll be speaking to. Prepare for the emotions they may feel when you show them frightening projections or suggest their community may not exist in the future. One point to keep in mind: People who are hostile to the very concept of climate change get a lot of attention. But they actually represent only a small fraction of the U.S. public. About 80 percent of people are either worried about the problem, haven’t made up their minds, or don’t know much about it, according to my colleagues at the Yale Program on Climate Change Communication. Those groups constitute your most likely audience. In the second step, doctors begin a meeting with the patient by asking open-ended questions. The goal is to determine the patient’s existing perception of her illness: “What is your understanding of the reason we took a tissue sample?” This step helps doctors identify the patient’s mistaken beliefs, if any, and craft a message based on what she already knows. By phone, Baile added that it’s important for doctors at this stage to learn a little about the person they’re speaking with. – How long have you lived in Charleston? – What’s your favorite thing about the city? – Have you noticed more flooding around the city? – What have you heard about the causes of that flooding? During the next step, doctors ask for consent from the patient to share the facts about their illness. Nearly all patients, according to surveys conducted in Europe and the U.S., want to be told the truth about their conditions — usually so that they can effectively plan for the future. But some people may find the information too difficult to hear, and those who reach an advanced state of illness may prefer not to be told all of the details. The lesson for talking about climate change: In conversations with others, don’t shy away from mentioning your concern about climate change, but talk about it in a way that invites the other person to ask questions. – Friend: What have you been up to lately? – You: I wrote a letter to the editor about sea-level rise, and it got published in the newspaper. – Friend: That’s great! But so depressing! What did you write about? The protocol contains two pieces of advice relevant to people talking about climate change. First, avoid jargon. Say “human-caused,” not “anthropogenic,” and so on. Such a statement is absurdly blunt and clearly has no place in a doctor’s office. But it also bears an uncomfortable resemblance to messages we often hear about climate change: “We must cease greenhouse gas emissions as soon as possible or there will be catastrophic consequences.” Either one may leave the listener feeling angry and apt to blame the messenger. Try using more compassionate language: “The climate problem is serious, and that’s why it’s important for all of us to work on a plan to address it.” You might also add that there is still time to avoid the most dangerous consequences. Like breaking bad medical news, sharing frightening information about climate change is likely to provoke an emotional reaction. You can address those emotions by acknowledging their presence, giving people space to express them, and offering validating or empathic responses. – You: The ocean could rise by as much as six feet during the lifetime of our kids. Unfortunately, if that happens, a lot of Charleston will either go underwater or have frequent flooding problems. – Friend: That’s horrible to think about. – You: It’s hard for me, too. I wish I had better news to share. By acknowledging and validating others’ emotions, you can help them remember that their reaction is normal and that they are not alone. “People are frightened, and they’re confused at times, and what they really appreciate is kindness,” Baile said. Whether you’re breaking bad news about cancer or the climate, the last and most important step is to work with the other person to come up with a plan. At this stage, doctors discuss treatment options with patients. The goal is to decide, together with the patient, on a plan that aligns with the patient’s values. For example, some patients may not wish to pursue aggressive treatment if the likelihood of success is poor and the side effects severe. When you talk with people about climate change, it’s similarly important to discuss what can be done to address the problem, seeking a plan of action that aligns with the person’s values. – Friend: I feel so worried about what will happen to my son. – You: I worry a lot about my kids, too. I usually feel better when I do something with that feeling, like going to talk to city planners about the problem. Would you be interested in coming with me the next time I go to speak with them? Your son would be welcome to come along. When I spoke with Dr. Baile, he offered a final piece of advice that wasn’t in his original protocol. Doctors, he said, often empower family members to become allies of a patient. Family members can take small but effective actions, such as helping the patient get plenty of rest. The same strategy, he said, can be useful to people who are speaking up about climate change: “Find out who your allies are,” he said. One person’s voice may be ignored, but a chorus of warnings — especially from those well known to and trusted by the listener — is harder to dismiss.